HAND-CRAFTED IN AMERICA’S HEARTLAND BY THE SAME TEAM THAT BROUGHT YOU THE FINE LEADSLINGERS BOURBON WHISKEY. LEADSLINGERS SPIRITS, IS PROUD TO PRESENT TO YOU A TRUE CINNAMON WHISKEY. 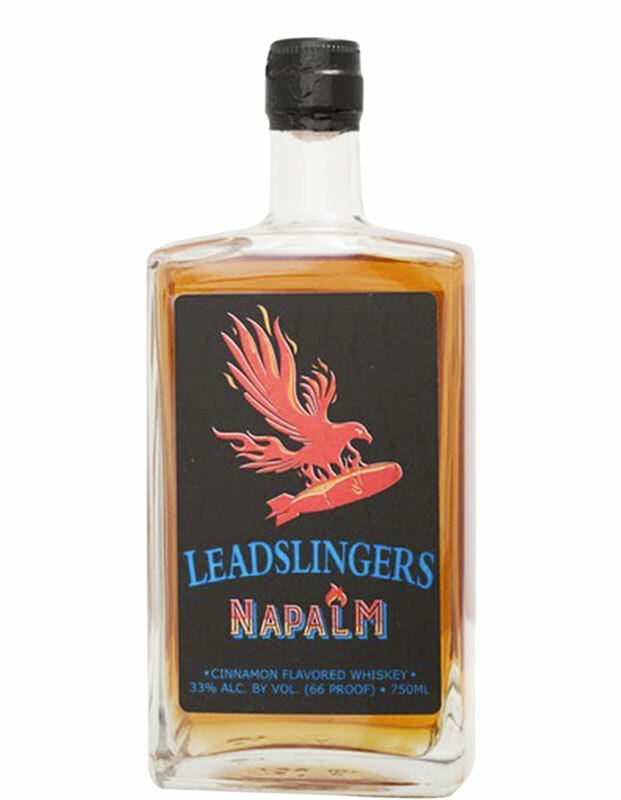 TURN UP THE HEAT ON YOUR GOOD TIMES WITH THE DISTINCT, NEVER HARSH FLAVOR OF LEADSLINGERS ‘NAPALM’ CINNAMON WHISKEY.